Delhi Daredevils won the match by 7 wickets. 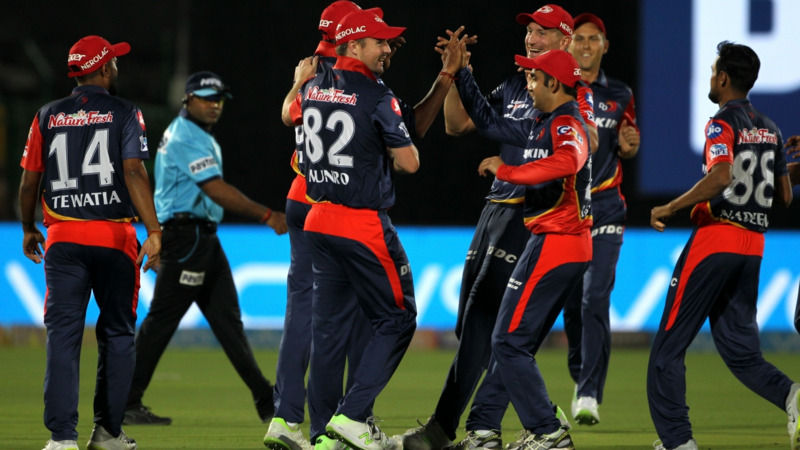 Delhi Daredevils won the match by 7 wickets against the Mumbai Indians at Wankhede stadium, Mumbai. Jason Roy was awarded the Man of the Match for his incredible, match-winning knock that outplayed Mumbai bowlers which were left wondering. Team Circle of Cricket gets down to list the 5 talking points of the match. Click on the links to get onto the next page. Mumbai Indians had a change in their opening slot for today's match against Delhi Daredevils. They had sent Surya Kumar Yadav instead Rohit Sharma who was getting out early while opening. Opening for the first time in IPL, Surya Kumar with Evin Lewis were on total fire. Both the openers took Mumbai to their highest ever powerplay score of 84. Evin Lewis and Yadav played blistering innings to put Delhi Daredevils on the backfoot. They gathered 102 runs for the first wicket partnership which is also the highest opening partnership of this season's IPL. Rahul Tewatia took two important wickets of the openers to provide Delhi Daredevils with a sigh of relief as the Mumbai openers were a going at a rapid speed. Rahul removed both the openers in his back to backovers. He put an end to their innings with bringing a twist in Mumbai's batting. 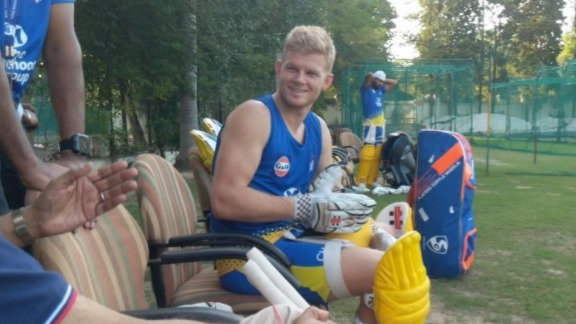 Earlier he had replaced Amit Mishra who conceded lots of runs against Kings XI. He is a good leg-spinner who can click whenever the team wants him to. After the MI's top order was down, no other batsmen of the team looked to carry forward from where the left their innings instead within just a matter of 90 runs, Delhi Daredevils were back in the game restricting them to 194 for 7. Big names like Kieron Pollard, Hardik, and Krunal Pandya went back cheaply to the pavilion with Delhi Daredevils having slightly an edge over Mumbai after the finish of the first innings. Mayank Markande who has currently the purple cap had a very bad on the field, he was pondered for huge runs as he conceded 42 runs in his three overs. The player has currently grabbed 7 wickets in the tournament but had a very poor performance in the match that can take away his purple cap from him. He was wicketless today that made Delhi have a convincing win. While chasing a heavy target of 195, Delhi Daredevils wanted their openers to fire from ball one and that is what they did exactly. 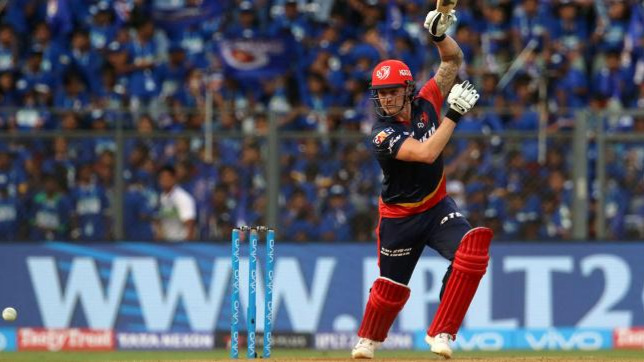 Jason Roy replaced out of form Colin Munro played an exceptional match-winning innings to provide Delhi's first win of the season 2018 IPL. Jason Roy played an elegant knock of 91 runs which landed Delhi on the right side of the game. This was his first innings for Delhi Daredevils which brought success for Delhi. The way Jason Roy played it seems he was on a different line and length, proper cricketing shots he led Delhi to win by 7 wickets. He had played a very useful partnership with Rishabh Pant which decreased the asking run rate and made it easier for the team to grab a 7 wicket win over Mumbai Indians at Wankhede. This was Mumbai Indians third straight loss of the tournament while defending their target. They gradually like to start their journey from losing. They are a quality side which likes to dictate their opponent. They will surely bounce back stronger.